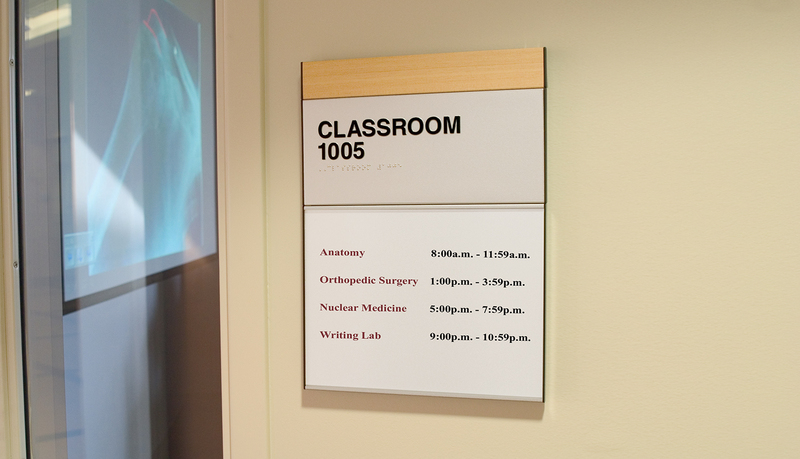 The University of Nebraska Medical Center (UNMC) sought private support to construct a research facility to attract experienced, sophisticated faculty from around the globe. As a result of this investment, cutting-edge medical research would benefit the education and patient care at UNMC and allow the research center to qualify for Federal grants. 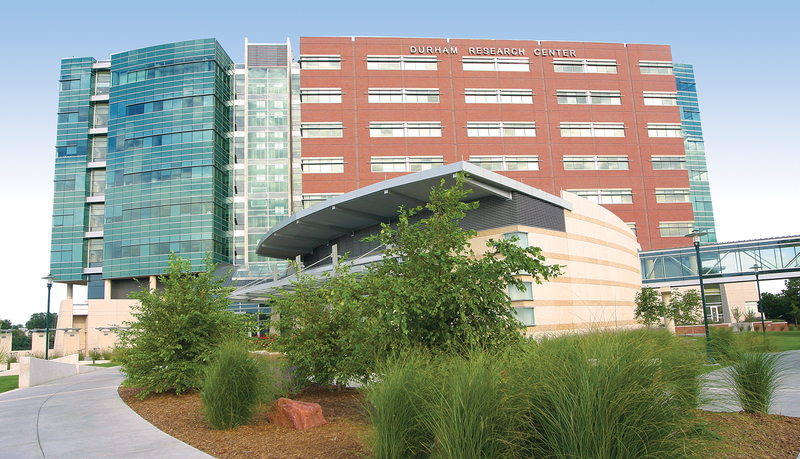 Today, that vision is the Durham Research Center. 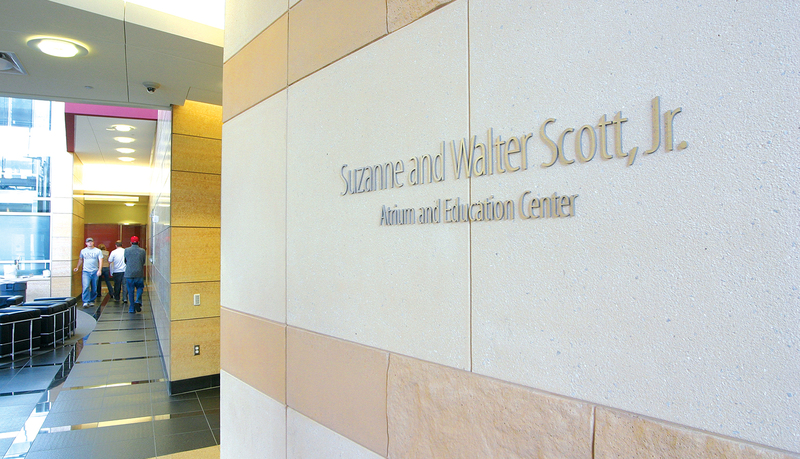 UNMC selected ASI to execute a turnkey signage solution for the interior and exterior and provide a means to recognize the major donors that made the center possible. 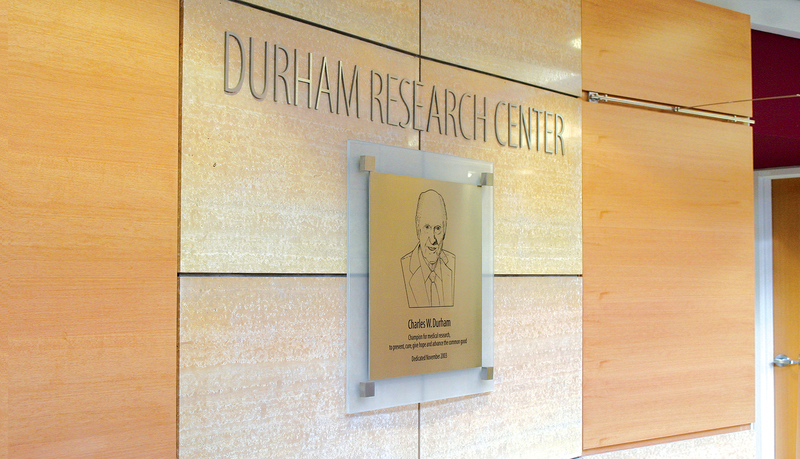 The exterior solution needed to prominently identify the building and be visible at all times as it recognizes the primary investment group, The Durham Foundation. 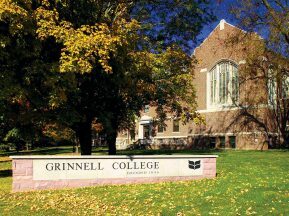 A creative mounting solution was required due to the large amount of glass around the building. 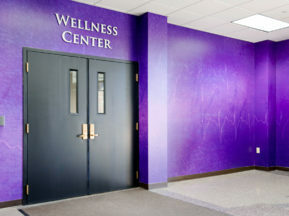 The interior signage solution had to flow and blend with the interior décor of the building, allow for frequent message changes and be clean and durable for a research and education environment. 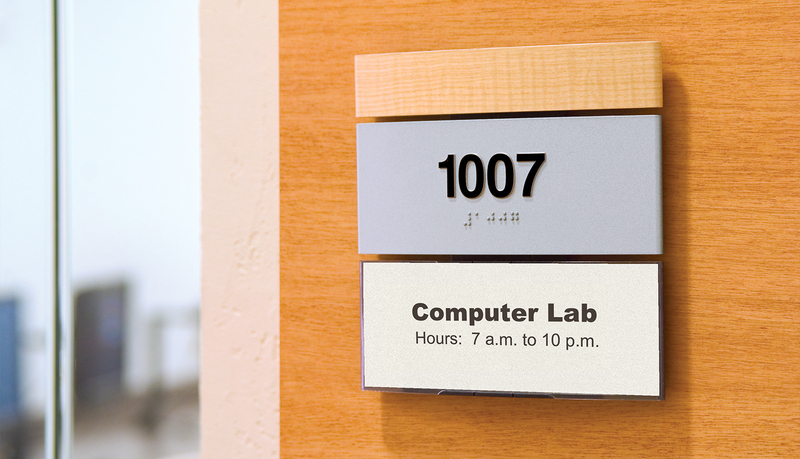 ASI worked with several partners of UNMC, including the architect, to integrate signage systems to complement their designs, for exterior signage and the IT department to ensure a smooth installation. 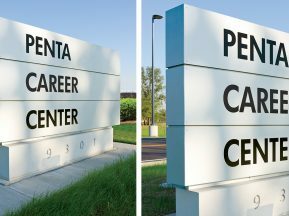 As a result, ASI completed a seamless implementation of the 34.5” exterior illuminated lettering that could be easily seen as part of the city’s skyline. 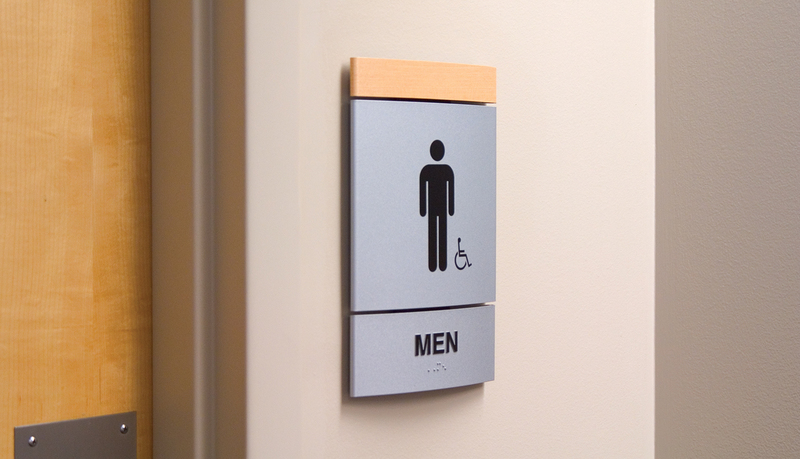 For the interior signage, ASI analyzed demographic requirements, regulatory guidelines, traffic flows and key navigational decision points throughout the center to identify the number, location and messaging needs of each sign. 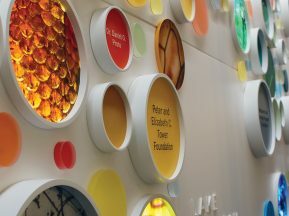 The final analysis was a comprehensive signage plan guiding the design, production and seamless integration of the complete sign system for on-time and on-budget delivery. 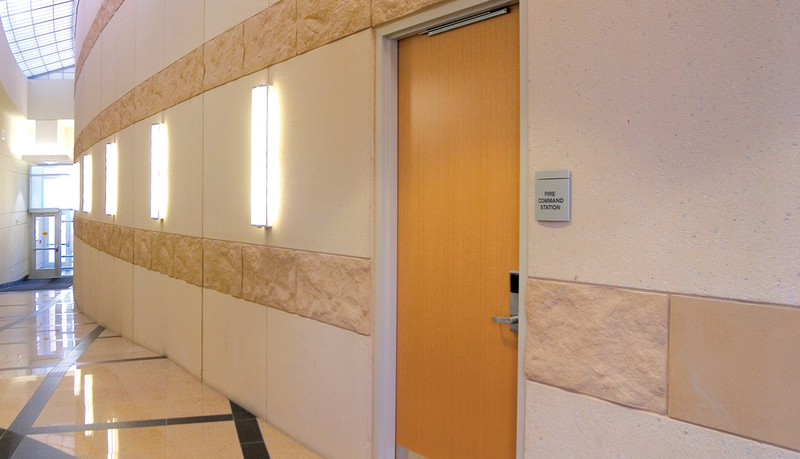 After further analysis, it was determined that Pacific Interior and I-20 with Paperflex signage products would be the optimal choice because of modular construction, durability, and messaging capabilities. 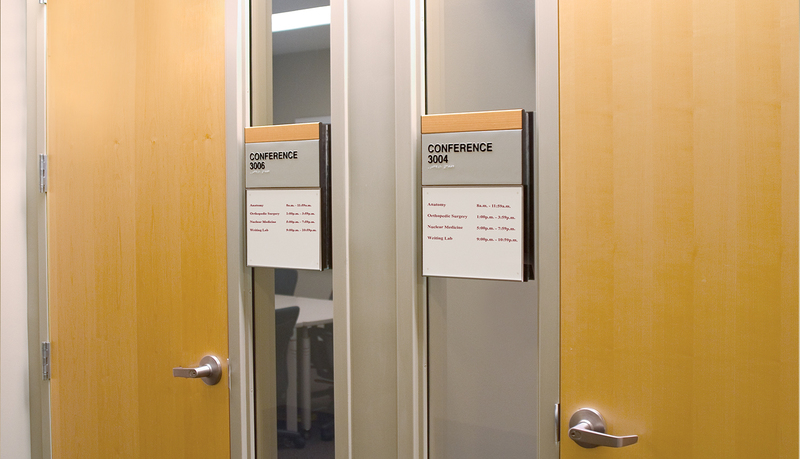 To accentuate the interior décor of the center, the interior signage solution features natural-wood decorative foil laminates. 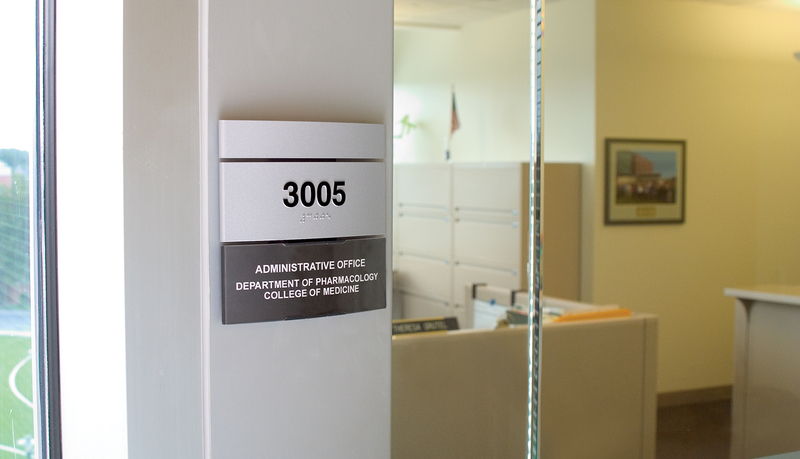 The donor signage program, which is mounted in the beautiful and spacious two-story atrium, is comprised of etched glass and stainless steel to accentuate the architectural look and feel of the atrium.